Sage 50 Bahrain and ME Edition is the perfect accounting and business management solution for small and medium-sized enterprises. A holistic solution, the Sage 50 can help you manage operations, draw reports and identify trends and opportunities, all from one interface. Get to know the Sage 50 ME and Bahrain Edition user interface, how to navigate the system and how to set it up so that you only see what you need to in your dynamic business environment. Make use of tools that give you the power to maintain, sort, search and group your data. Store your data infinitely, rollback transactions, manage multiple companies, and drill down into your valuable data. It allows you to track foreign currency, customer and supplier values in both the foreign and home currency. You can view balances and transactions in either currency at any time. Unit of Measure – control your inventory. 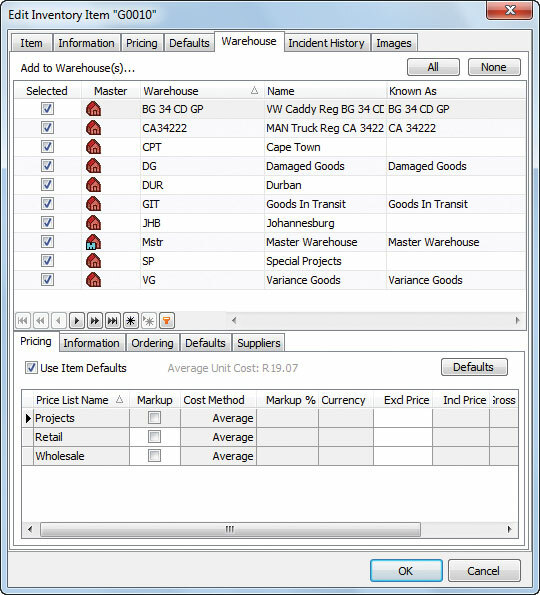 Import Cost Allocations – know which costs you are liable for and process them, automatically updating your item costs. Use the wide range of features on this module as well as its integrative power to properly control stocks and warehousing processes – such as tracking and inventory management, expiry date control, returns and repairs, serial & lot tracking and pricing control. The Sage 50 ME Edition is a regional accounting and business management solution that has been designed in compliance with the standards of accounting practices in the region. The Intelligence Reporting feature of the Sage 50 Middle East edition gives complete control over the data that is filtered into the periodic reporting. The accumulated data can be manipulated to gain insight into the prevalent trends. These insights can further be used to identify the potential areas of growth to make new business decisions. The Sage 50 Middle East Edition’s dashboard display is an intuitive and simple way of identifying and monitoring key factors of the organization, ensuring that they perform at a level that ensures achievement of business objectives. Sage 50 Middle East Edition provides the business owners with the power to control every aspect of their business, from inventory and finances to supplier engagements and customer relationships, allowing them to make informed decisions at every step, based on the data at hand. Sage 50 Middle East Edition does not require a lot of time for configuration and training, sparing the clients from high installation and implementation fees. The staff also can be trained for the product with relative ease. Sage 50 Middle East Edition is powered by MS SQL Express that results in a consistent user interface. The software solution’s functional integration allows adding additional modules to the core accounting package, making for a scalable solution that can be tailored according to your business needs.